For other uses, see Elizabeth Tudor (disambiguation). Elizabeth Tudor (2 July 1492 – 14 September 1495) was the second daughter and fourth child of Henry VII of England and Elizabeth of York. 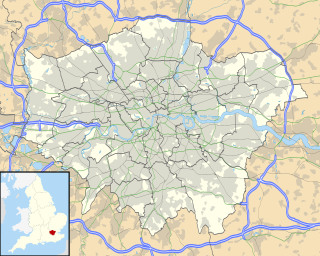 Elizabeth was born on 2 July 1492 at Sheen Palace in Surrey (later rebuilt by her father as Richmond Palace, the remains of which are now part of Richmond-Upon-Thames, London). Elizabeth spent much of her short life at the royal nursery of Eltham Palace, Kent, with her older siblings Margaret (later Queen of Scotland) and Henry (the future Henry VIII of England). Elizabeth's oldest brother, Arthur, was heir to the English throne and so lived separately in his own household. Just before Elizabeth's death, her father proposed a marriage alliance between Elizabeth and the French prince Francis, who later became king as Francis I of France. Elizabeth, second child of Henry the Seventh King of England, France and Ireland and of the most serene lady Queen Elizabeth his consort, who was born on the second day of the month of July in the year of Our Lord 1492, and died on the 14th day of the month of September in the year of Our Lord 1495, upon whose soul may God have mercy. Amen. Hereafter Death has a royal offspring in this tomb viz. the young and noble Elizabeth daughter of that illustrious prince, Henry the Seventh, who swayed the sceptre of two kingdoms, Attrapos, the most severe messenger of Death, snatched her away but may she have eternal life in Heaven. The following year in 1496, Henry and Elizabeth had another daughter, Mary, who became the Queen of France. Their final two children, Edmund (who died in 1500 at the age of 15 months) and her younger sister Katherine (who died in 1503 shortly after birth) were laid to rest by young Elizabeth's side. ^ a b c "Elizabeth daughter of Henry VII". Westminster Abbey. Retrieved 2 August 2017. Catherine of Valois was the queen consort of England from 1420 until 1422. A daughter of Charles VI of France, she married Henry V of England, and gave birth to his heir Henry VI of England. 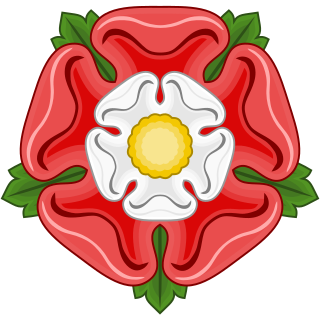 Her liaison with Owen Tudor proved the springboard of that family's fortunes, eventually leading to their grandson's elevation as Henry VII of England. Catherine's older sister Isabella was queen of England from 1396 until 1399, as the child bride of Richard II. 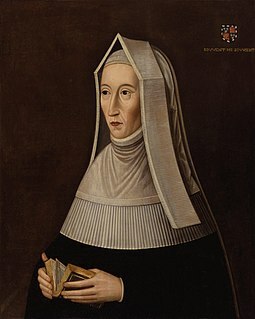 Lady Margaret Beaufort was the mother of King Henry VII and paternal grandmother of King Henry VIII of England. Bridget of York was an English princess, the tenth child and seventh daughter of Edward IV of England and Queen Elizabeth Woodville. Catherine or Katherine of York was the ninth child and sixth daughter of King Edward IV by his wife Elizabeth Woodville. From birth to death, she was daughter to Edward IV, sister to Edward V, niece to Richard III, sister-in-law to Henry VII and aunt to Henry VIII. Giles Daubeney, 1st Baron Daubeney, KG was an English soldier, diplomat, courtier and politician.